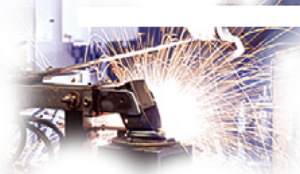 Whether you need to develop a new caster concept or want to modify an existing item to work with your design, we have the engineering experience and technology to bring your concept from a working design to a finished product. 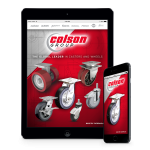 Colson has a fully degreed engineering staff with over 75 years of accumulated caster experience. All modeling is completed in 3-D and can be transferred to a 3-D printer that models a fully functioning design in ABS plastic within hours. In addition, our main operating system for new designs is the 3-D Solid Works. Colson has taken quality very seriously for over a century. Our Engineering Test Lab is the most extensive in the caster industry. 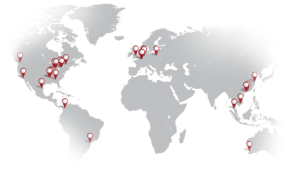 That’s why we offer the industry’s leading warranty for all Colson branded products, 3 years. 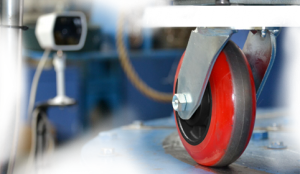 Static and Dynamic Testing for a complete range of casters and loads from 100 lbs to 3000 lbs per caster at speeds from 1.5 mph to 20 mph. Impact Test from 100 in-lbs to over 30,000 in-lbs. 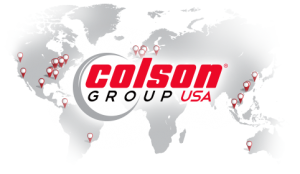 Proprietary Ergonomic Tester accurately measures ergonomic values such as start up and sustained forces, along with forces to initiate swiveling was recently engineered by Colson staff. Environmental chamber that creates a temperature range from -80F to +350F. Unique to Colson is the 3D printer. This stand alone system builds 3D models from CAD files by extruding thin layers of liquefied ABS plastic using a computer controlled extruder head.